After completing the assessment of the patient, including reading his/her self-observation diary, the therapist formulates a cognitive package. This may encompass both exposure and cognitive restructuring. Exposure consists of homework exposure only. An exposure strategy is planned with the patient, based on the list of situations outlined in his/her diary. The therapist writes an assignment per day in the diary, following an in vivo graded exposure (Marks, 1987). The patient is asked to rate the discomfort caused by the assigned task on a scale from 0 to 100. At the following visit, the therapist reassesses the homework done, and discusses the next steps and/or problems in compliance that may have ensued. Cognitive restructuring follows the classic format of Beck et al. (1979; Beck & Emery, 1985) and is based on introduction of the concept of automatic thoughts (Session 2) and of observer's interpretation (Session 3 and subsequent sessions). The problems that may be the object of cognitive restructuring strictly depend on the material offered by the patient. 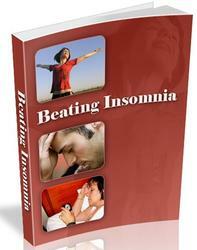 They may encompass insomnia (sleep hygiene instructions are added), hyper-somnia, diminished energy and concentration, residual hopelessness, reentry problems (diminished functioning at work, avoidance and procrastination), lack of assertiveness and self-care, perfectionism, and unrealistic self-expectations.